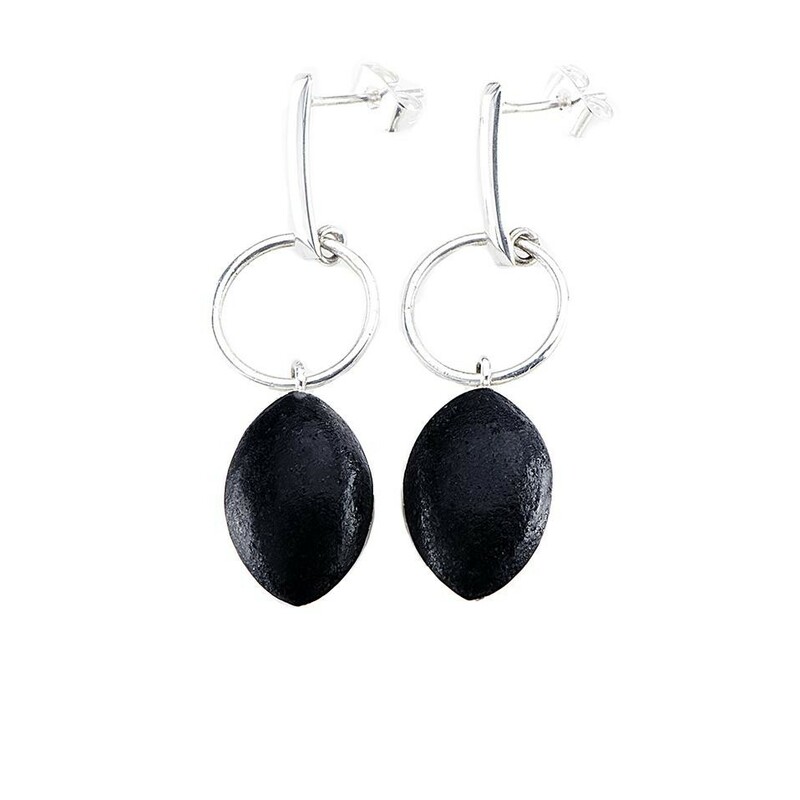 These 'obsidian look' Black Lava Stone Marquis Oval Stud Earrings are set in and hung with three sterling silver components. The first component is the rectangular plate that anchors the stud, followed by a circul... Read more. These 'obsidian look' Black Lava Stone Marquis Oval Stud Earrings are set in and hung with three sterling silver components. The first component is the rectangular plate that anchors the stud, followed by a circular ring to which the bottom-most, silver-rimmed marquis stone is attached. These, small, jet-black pieces dangle with style and exude a youthful energy. Their simple design will match with most of your wardrobe. Handmade by Balinese artisans.